Addition of Three New Bottle Caps Expand the OneKEY Ecosystem. InVue, the leading global provider of merchandising and security solutions for retailers, unveiled OneKEY Bottle Cap, the only solution that protects bottled merchandise from theft and on-site consumption, and cannot be defeated by magnets. With the sales of liquor, wine, and high value bottled merchandise growing, retailers are challenged in how to best secure bottles on display, prevent theft, and limit on-site consumption. On top of this, bottled merchandise comes in varying sizes, and many bottles have foil covers, tamper labels or import labels that must stay intact. 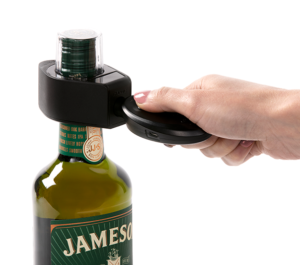 With InVue’s OneKEY Bottle Cap, retailers now have a secure way to display bottles, prevent theft, and limit on-site consumption to preserve store profits and decrease shrink. 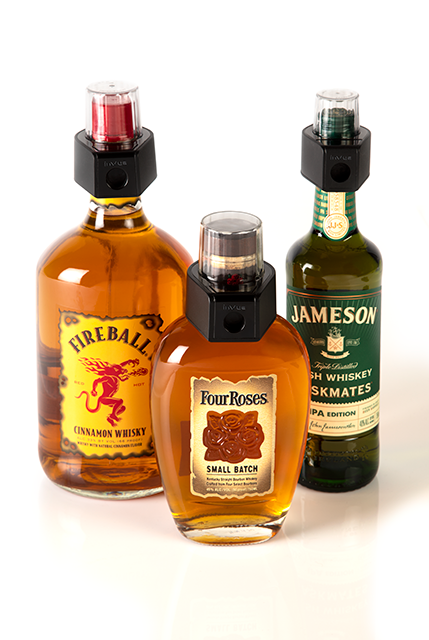 OneKEY Bottle Cap is available in three sizes to accommodate different bottle mouth diameters. Application is easy with a one-button push to lock and twist. Bottles are secured in seconds and unlocked using InVue’s OneKEY technology. The tightening mechanism is specifically designed to preserve foil covers or other labels that customers expect to see perfectly intact. OneKEY Bottle Cap is part of the exclusive InVue OneKEY ecosystem™, a storewide single key solution that improves customer service, increases sales and provides high theft protection. To learn more about OneKEY Bottle Caps, click here.